At last Spring appears to be springing – the days are getting longer and (a bit!) warmer, the primroses are in bloom, the lambs are gambolling and it is time to put the Easter decorations out. 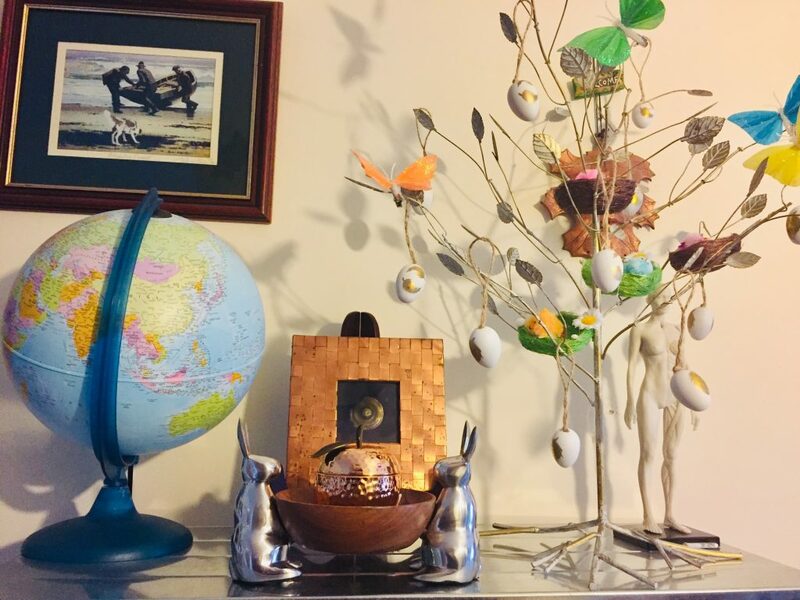 Now, as I was hanging eggs on the tree, of course my mind wandered into the realms of pelvic health (it never wanders too far from there, to be fair ) and I started thinking about our role in fertility. 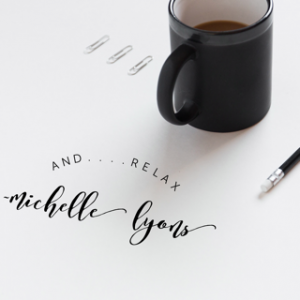 For many of us working with women in the perinatal year, the focus may be primarily on pregnancy related issues like pelvic girdle pain or bladder/bowel issues like constipation…or postnatal issues like diastasis or c section recovery…but actually, we have a significant role to play in the journey to pregnancy as well, which is why I included a module on fertility in the Advanced Pregnancy Wellness certification, that I co-created with Jenny Burrell and Sofie Jacobs last year. Menstrual health is now being described as the fifth vital sign, along with pulse rate, temperature, respiration rate, and blood pressure. But – are you taking note of the information that menstrual history can give us? 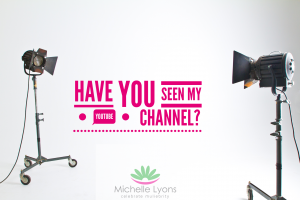 Are you asking your female clients about their periods? What day of their cycle they are on, how long their periods last, onset of menarche, any change in menstrual symptoms lately? 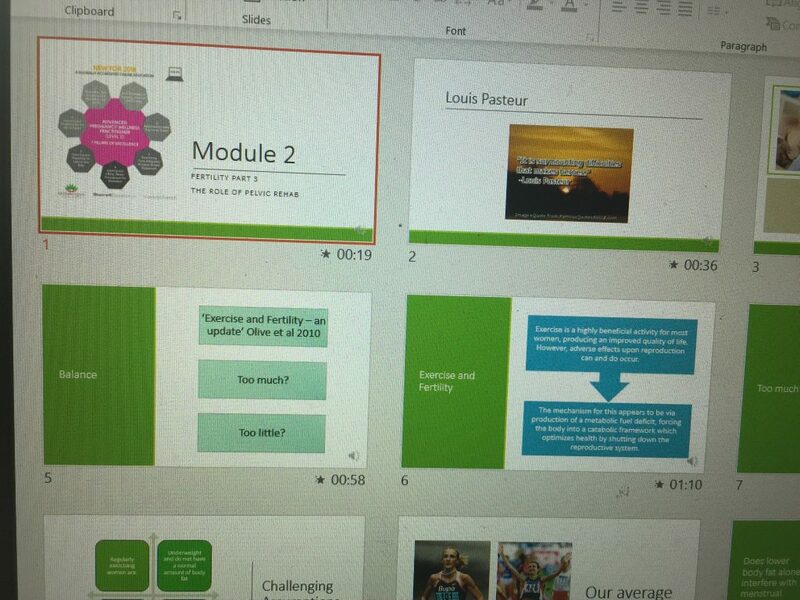 If you are working with female athletes, asking about their menstrual health, regularity or screening for problems becomes an essential part of whole person wellbeing. Amennorhea is a key sign that there may be energy availability problems, which could indicate that RED-S is in play. We’ve moved on from thinking about The Female Athlete Triad as just affecting bone health and menstrual health because of disordered eating to a broader spectrum approach, as defined by the IOC when they described RED-S as a broad spectrum endocrine disorder, based on low energy availability. Put simplistically, if your brain only has a certain amount of energy available to it, it does not choose to priorotise ovulation and fertility (quite the opposite as pregnancy when there is limited food available would from an evolutionary perspective, be disastrous). Of course, if a woman is not ovulating, her oestrogen/progesterone balance will be affected which will have significant downstream effects on bone health, heart health and of course, fertility. So asking about changes in menstrual patterns with our female athletes can give us some warning signs and an opportunity for intervention. 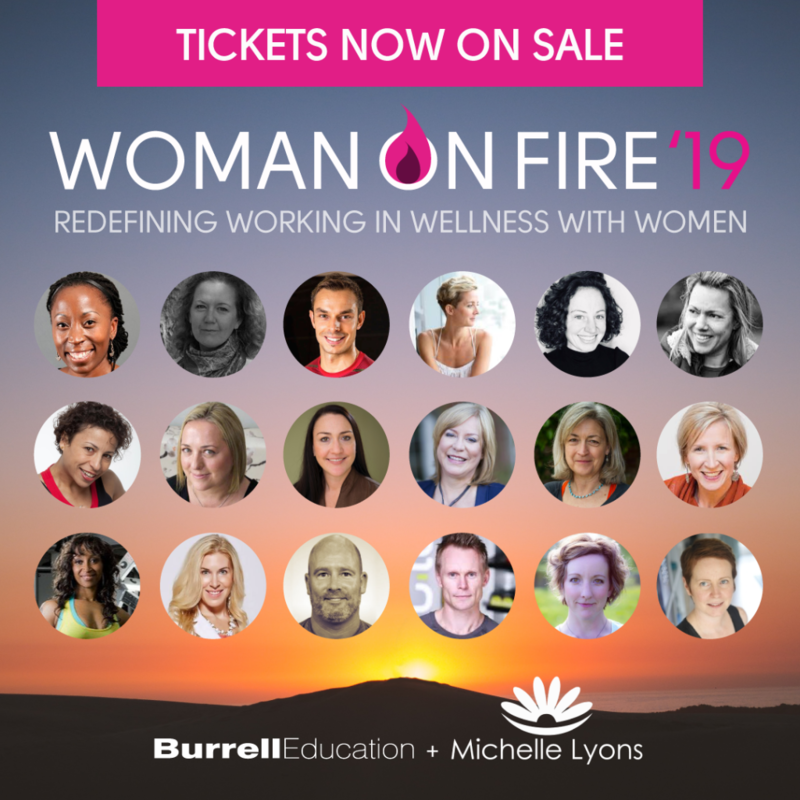 Although we know from research in the medical literature, that women’s pain is generally not taken as seriously as men’s (shocking but true), I think our role as women’s health practitioners, is to be able to take a deep dive into what our client’s history may mean – that ability to zoom in…but also to zoom out and look at ‘The Big Picture’…but we can’t get the information if we don’t ask the questions! But if you are looking for a broad overview of this topic, why not sign up for access to The Birth Healing Summit? 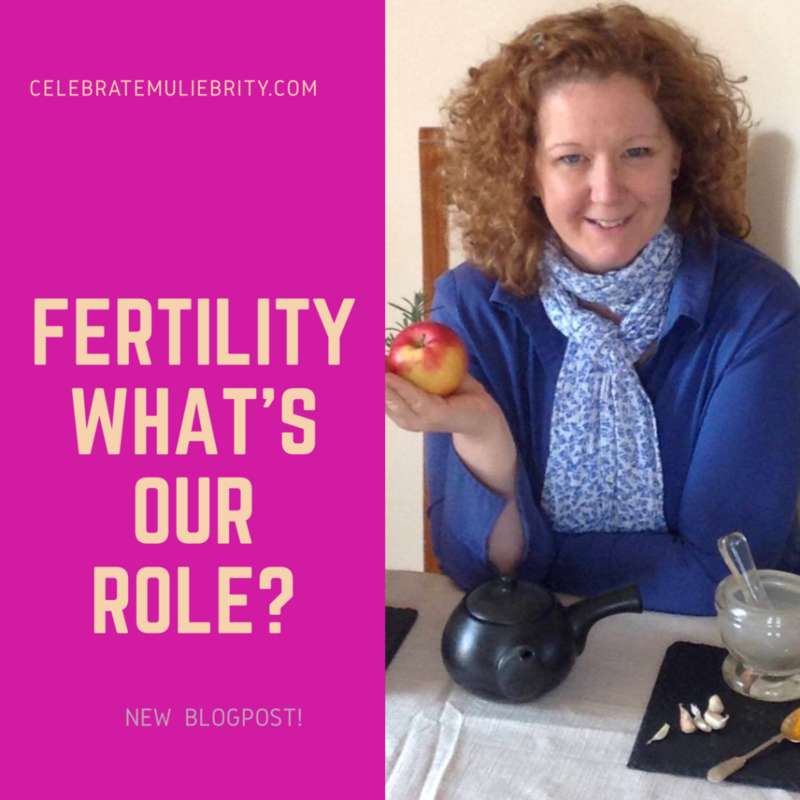 Lynn Schulte invited me to share my thoughts on our role in supporting and optimising fertility and we had a far-ranging discussion about a number of different angles. The good news?